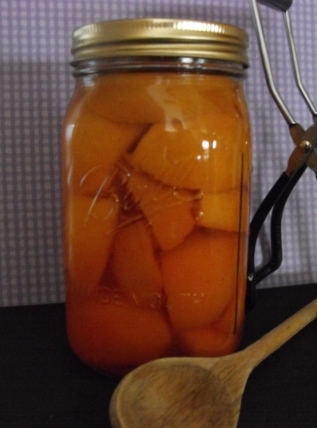 Home Canning Peaches is one of our family favorites and I have such fond memories of this as a child. The fresh smell of the fruit and the excitement in the kitchen as everyone helped out. Once in a while my Mother would give me a fresh slice off a peach just before she put it in the jar. It was a real treat and I will never forget those days.